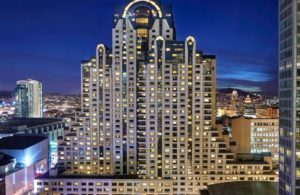 On August 30 – September 1, 2019, the Buddhist Churches of America Federation of Buddhist Women’s Associations (BCA FBWA) will host the 16th World Buddhist Women’s Convention at the San Francisco Marriott Grand Marquis in San Francisco, California. The World Federation of Jodo Shinshu Hongwanji-ha Buddhist Women’s Association held the 1st World Buddhist Women’s Convention in Kyoto, Japan in 1961, and since then, the various member countries have had the honor of hosting the convention, held every 4 years or so. 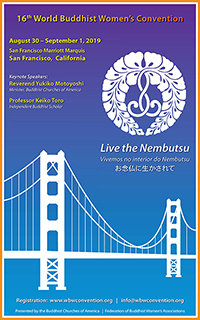 The Convention is an opportunity for Jodo Shinshu followers to gather together on an international level; meet new people, learn together, share experiences, and spread the circle of Dharma followers today and for generations to come. Originally, the Convention was held for women only; however, over the years, it has welcomed all, men and women, in the Jodo Shinshu Sangha or spiritual community. • To work towards the welfare and peace among all mankind.